We never tire of pouring over images of creative nursery ideas. Our latest obsession? Keeping a room neutral with touches of neon to brighten it up. We’ve actually been into this idea for a while, after first spying it in Lauren Goodman’s baby’s room. 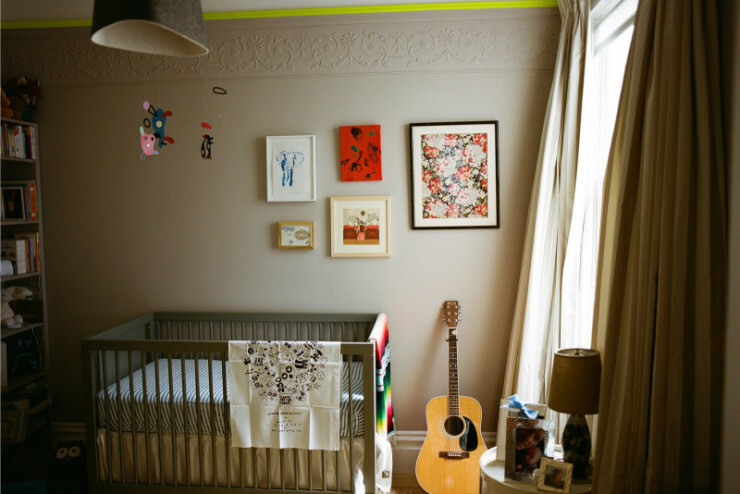 The former Domino fashion editor painted her son’s San Francisco-based nursery gray (even the gorgeous molding), but added a trim in vibrant neon yellow, which partnered perfectly with a cool Mexican blanket slung over the side of the crib. Like the idea, but not ready to commit to paint? 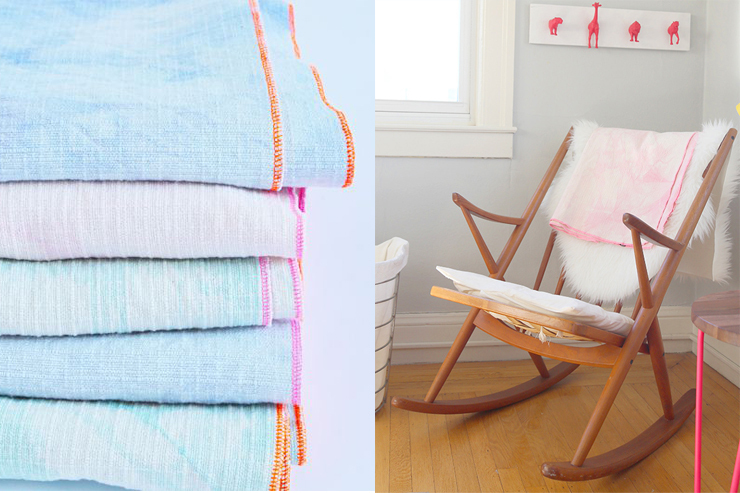 We suggest investing in a few neon accessories, one of our favorites being the neon-edged 100% natural cotton, hand-dyed blankets by Happy French Gang, now on pre-order.